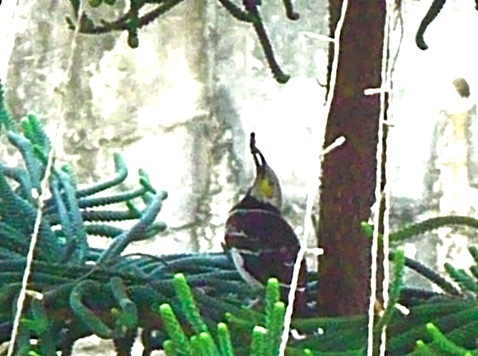 Today, I discover the black collared starling couple already has a chick and it is already an adolescent. 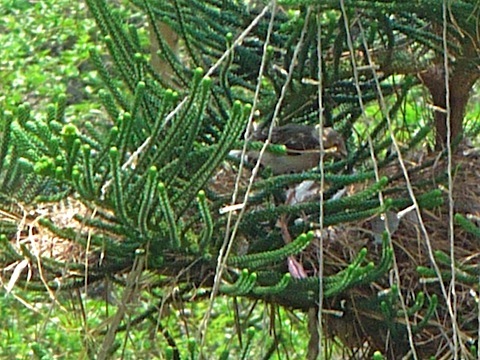 Within days, I believe, the chick will fly off and leave the parents with an empty nest. I can share with these parents my experience of coping with empty nest syndrome. 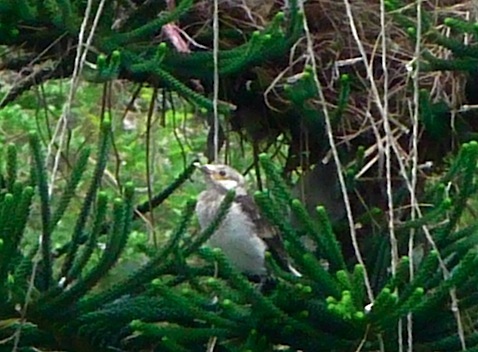 The chick frolics on the branches below the nest. I guess this is its play room. Its wings are already black, but its neck is still white. I distinguish the chick from adults by the pale color of the chick’s neck. The adult starlings are good parents. They fly around franctically foraging for food, return to the nest every few minutes with or without food, checks up on the chick, and fly off in search of food again. Here, one parent perches on the lamp post and looks at the chick in its play room. The chick waits for the parents to bring yummy food for its constantly hungry mouth. An adult starling forages on the lawn. Within a few short minutes, it caught a worm. This starling is the avian equivalent of a high earning human parent. The adult brings a worm to the play room to feed the chick, only to find the chick missing. 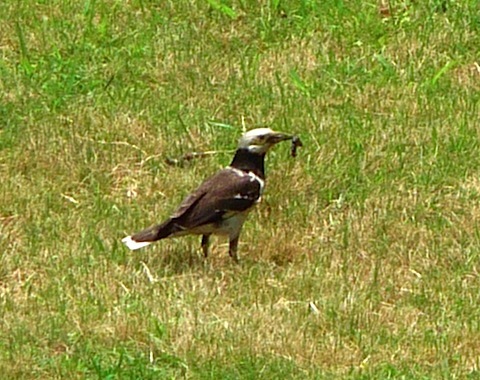 The parent finds the chick in the nest and feeds the worm to the chick. Without ever trying Big Macs, the chick was no gourmet and readily eats the worm. Posted by Robert Wu on Saturday, May 23, 2009, at 9:49 am. Filed under Uncategorized. Follow any responses to this post with its comments RSS feed. You can post a comment, but trackbacks are closed.